Select Diameter 0.4" 3/4" 1.1" 1.3" 1-1/2" 1.7" 2" 2-3/4"
Typical applications include: Waterproofing and mechanical protection - Ideal for outdoor cable tv connections where weather proofing is needed. LG-CATV heat shrink tubing was designed and forumated with the Cable and Satellite TV industry in mind. It's unique sealant formulation provides a waterproof seal and no drip during installation. Add to this fast shrinkage, and there is no risk of cable damage or messy glue leakage. Cable TV heat shrink is also meant for 25 years of outdoor and sunlight exposure, and can be easily removed without mess for reworking of cables. 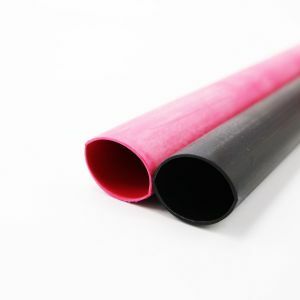 What is Dual Wall Heat Shrink? - When exposed to heat (usually a bit lower than the activation temperature of the heat shrink), the inner layer begins to flow smoothly (just like a hot melt glue). When the tubing shrinks and cools down, the inner layer forms an adhesion layer between the tubing and the component or wire. 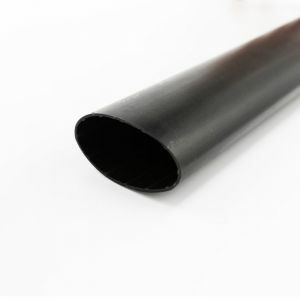 This provides a watertight seal, protecting the connector and/or wire in outdoor applications where environmental sealing is a necessity.